Hi there, friends! Well, as some of you may already know....I'm currently recovering from surgery right now; so this post was pre-scheduled. Since I haven't done it lately, I just wanted to take this opportunity to invite EVERYONE to come by Word Art Wednesday to play along in our challenges. 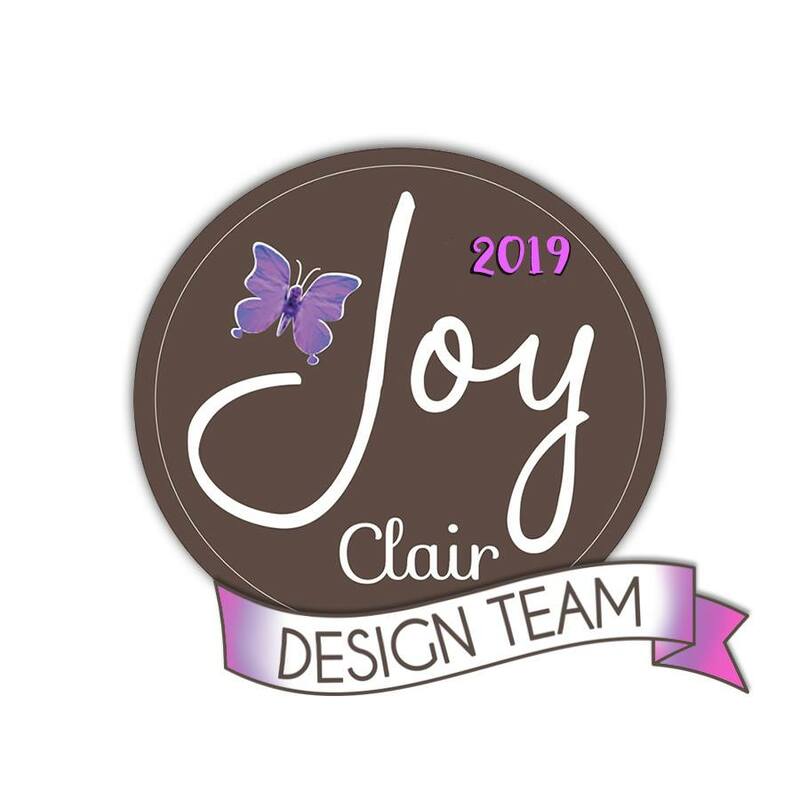 Our sponsor for this challenge is Stamp Simply Clear Stamps, and they are offering one lucky person either TWO stamp sets of their choice, or one stamp set AND one die-cut set of choice. That's an AWESOME prize. I chose a couple of really sweet stamp sets from this amazing store, and I'm looking forward to using them A LOT. For this project, I used the sweet Words of Encouragement Stamp Set on my tag. For my card, I used the free word art scripture from Word Art Wednesday. For my card (and tag) I used a wood-grain ruler paper from October Afternoon and I inked it with Tim Holtz Corduroy Distress Ink. I machine stitched the card, and I cut two layered die-cut hearts that I hand-stitched with brown DMC floss. I also added a width of ivory tulle gathered trim and a few pretty sequins. The scripture is printed on pink patterned paper, is inked, and is die-cut using a flag banner die from Frantic Stamper. I've always enjoyed making a matching tag to tuck inside the cards I send because they can be saved by the recipient, and used as a book mark. 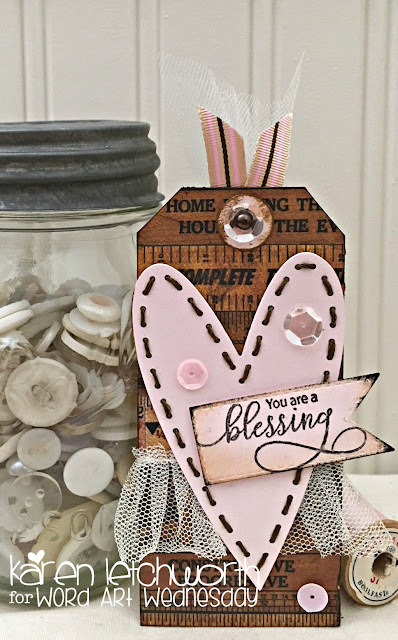 So....for this tag, I added the same ivory tulle gathered trim, a few soft sequins, the smaller hand-stitched heart, and the sentiment flag with the "You Are a Blessing" stamp. I thought the sentiments looked so sweet stamped in brown ink against the pink paper. And then, with the dark background, it really POPPED! I really had fun creating with the Words of Encouragement Stamp Stamp from Stamp Simply Clear Stamps, and I can't thank them enough for sponsoring us at Word Art Wednesday. 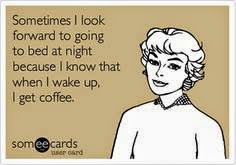 I sure do thank you for stopping by my blog today. I'm probably sipping a vanilla latte and popping tylenol. I hope to do some chicken "plucking" on my computer - even if it is with just my left hand. Doc said I'd be in a sling for quite some time, and I really want to be a good patient so that I don't pop any stitches, and my shoulder heals properly. 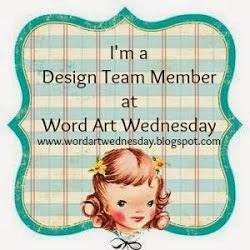 I'm too old to go through this again....LOL Oh, and don't forget to play along with us at Word Art Wednesday! Papertrey Ink 11th Anniversary - Day 10 Stripes Challenge - My "stripes" are in the patterned paper from the ruler background. I used the PTI Stitched Hearts Dies. 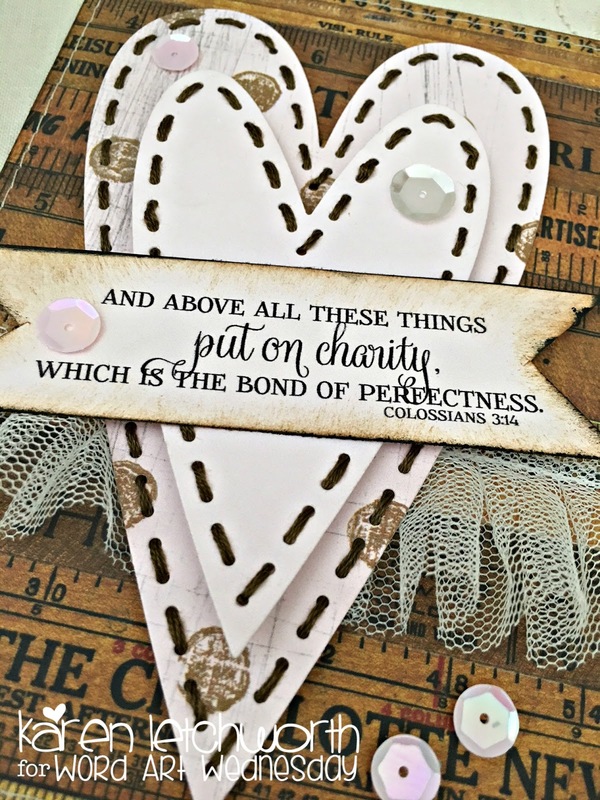 Simon Says Stamp Wednesday Challenge Blog - Simon Says "Add A Die-Cut" - I used PTI layered heart dies on this card. CropStop Challenge Blog - February Challenge #37 - Anything Goes - I used Tombow Adhesive, Tim Holtz Corduroy Distress Ink, and Tim Holtz Black Soot Distress Ink. Double D Challenges - Sequins Challenge - I always enjoy adding sequins. If you've created a card or project with sequins, come by and play along! Words 2 Craft By - Challenge #50 - A Blizzard of Kisses - I used layered hearts and kisses of sequins to spread a blizzard of love! What a super darling project and I LOVE the photo with the button jar - so nicely done! Glad you are enjoying our stamps! Both are just beautiful! Great job Karen! Thanks so much for joining in the fun at our Double D ‘Sequins’ challenge! Good Luck and we hope you’ll come back often. 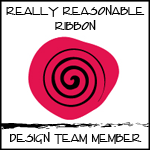 A beautiful card and tag set Karen - I do hope you recovery from surgery is restful, rapid and totally uncomplicated! Beautifully created Karen, love the matching tag and as always your amazing details!! Thank you for joining us at Double D.
Including the tag is a thoughtful thing to do. What a lovely pair these make! I sure love the paper in the background, and along with the tall hearts, the ruffled netting, and beautiful words the two are a delight. Oh, and sequins! I hope you're recovering well. Thank you so much for joining us at Double D in our sequins challenge! Karen, I'm so sorry to hear that you are recovering from surgery, but very glad to hear you're being such a good patient. Now for this card and tag set. So pretty... and what a great idea to tuck that tag inside. Gonna have to CASE that idea. Thanks so much for sharing with us at Words 2 Craft By.... and, until next time, take good care of yourself! 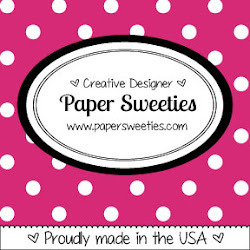 gorgeous, luv the sweet pink hearts! I am so glad you played along with us at simon says stamp wednesday challenge! What a beautiful set! I adore tags!!! 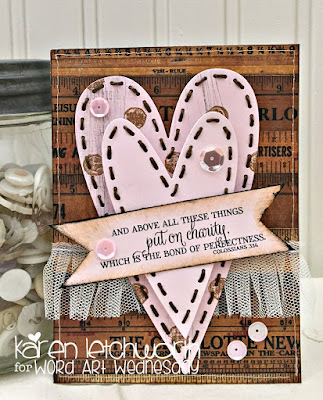 Love the rustic vibe, those stitched hearts are fabulous as is the lacy touch! LOVE! Thanks so much for playing along with us at The Double D Challenge Blog, Sequins, Donna, DT Member. Love the woodgrain ruler and the fun tuck in tag that goes along with your gorgeous card! Thanks so much for linking up to the Cropstop blog this month! Beautiful card and tag Karen. Love the stitched hearts and the tulle... very pretty and sweet! I wish you a quick recovery! I love your gorgeous projects!